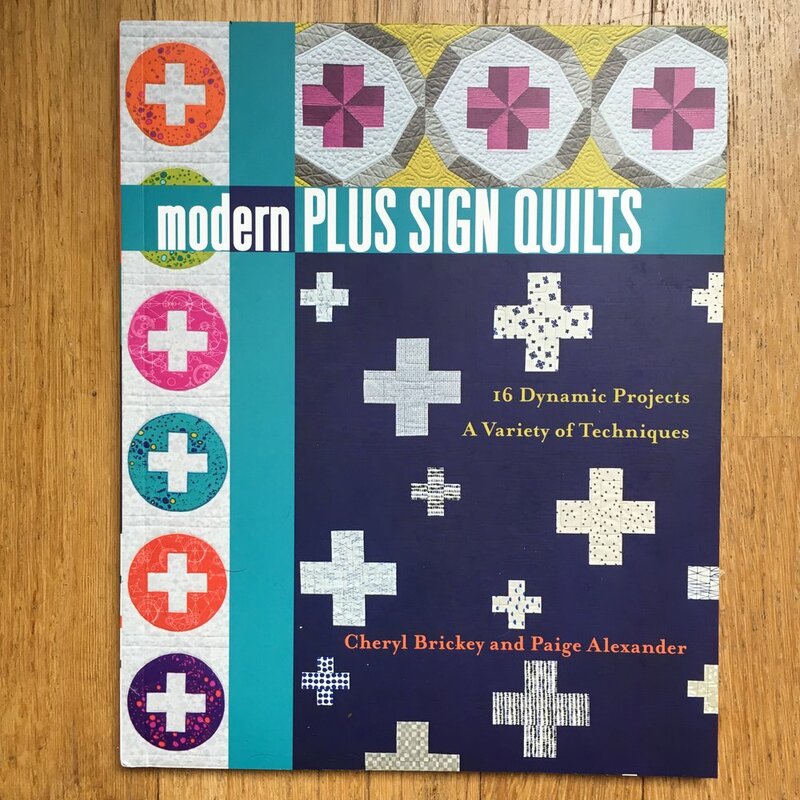 Book Review: "Modern Plus Sign Quilts"
It's been a while since I've seen a new quilt book with really exciting patterns, so today I want to share a bit about this great new C&T Publishing stashBOOKS, Modern Plus Sign Quilts by Cheryl Brickley and Plaige Alexander. This book has something for everyone. There are pieced quilts, appliqued patterns and foundation pieced patterns. They range from a simple table runner which would be great for a new quilter to complex geometric designs. There are 3 quilt patterns in this book that I really want to make. My favorite is "Plus Surround", a quilt with concentric circles of plus signs. Because of the circular design, it looks complicated but all the but all the blocks are square! It's a really fun quilt! Another of my favorites is "Celestial", the navy an white quilt shown above on the cover of the book. This pattern makes a queen size quilt, using large blocks, so it go together quickly. My other favorite quilt is "Transparency Chains". It uses a single Irish change with pieced plus signs that appear to float inside the chains. These are modern quilts with deep roots in classic patterns. They have lots of negative space with many of them using 3 to 7 plus yards of background fabric. I often guesstimate yardage when purchasing fabric but I recommend you make a list to take to the store if you are going to make these quilts! I can't wait to start sewing...but first, a shopping trip!